AFTER THE FALL, one of Pittsburgh’s Premier hard rock and alternative band's, has signed a worldwide record deal with up and coming RFL Records. A staple of the local scene, the band embraces the catchy, hook driven sound of the 80’s hard rock powerhouses and mixes the best elements of the 90’s alternative with modern elements. 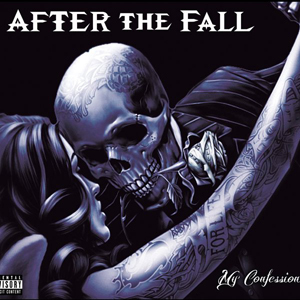 AFTER THE FALL is about to unleash their highly-regarded, self-released, My Confession album to the masses on November 30th. AFTER THE FALL is a 4 piece, original hard rock band formed in 2003. Having undergone several lineup changes over the years, the band met with success soon after their formation, but it's their current incarnation that has the city of Pittsburgh, and cities throughout the country, abuzz. With Matt Ferrante on drums, Steve Craven on bass, Zac Shepard on guitar, and Doug Carnahan on vocals/guitar, they've made a bang in Pittsburgh and surrounding regions since the addition of Carnahan on vocals back in the spring of 2012. More recently, they would replace longtime guitarist Brandon Cornish with Zac Shepard to solidify the attitude that the band was looking for. They've shared the stage with such national acts as WARRANT, SEVENDUST, NONPOINT, HED PE, THE SIN CITY SINNERS, DOPE, CORROSION OF CONFORMITY, HURT, PRIMER 55, and more and have played in cities across the country, turning heads and recruiting new fans as if their lives depended on it. Their sound is reminiscent of some of the great hard rock bands of the late 80's, early 90's, yet still stands out amongst their contemporaries as fresh, melodic, and just plain catchy. They're songs are predominantly driving, radio friendly, hard rock songs, infused with attention commanding guitar riffs, topped off with vocals and lyrics that drive their point straight home, and often through the heart. Starting with their 2014 EP, which contains their first big hit, "Rumors", and followed with their full length effort, My Confession, AFTER THE FALL has kicked their career into high gear, winning the Iron City Rocks Pittsburgh Music Awards for "Best Rock Band" (2014-2017), and "Album of the Year" 2015. Armed with new and more powerful music, it's only a matter of time before they are conquering the masses. Front man Doug Carnahan expresses optimism with what the future holds: "We at AFTER THE FALL are very excited about the signing with RFL Records! Jon Marchewka is a super guy and we can't wait to get the ball rolling and get some new music out there!" With a jam packed schedule, and shows dotted all over the map, be sure to keep an eye out for AFTER THE FALL in a town near you!